It turns out that eating fermented foods such as sauerkraut, pickles and yogurt may help ease certain types of anxiety along with general neuroticism. This development was discovered some time after scientists and other mental health experts discovered that the stomach may also play an important role in mental health. The biological connection between the gut and brain has been known for a while. In relation to anxiety, scientists believe that good bacteria in fermented foods increases levels of a chemical called GABA – a neurotransmitter that has an anti-anxiety effect on the body. In other words, good bacteria that accumulates in the gut by eating fermented food may have a direct anti-anxiety, sedative effect. 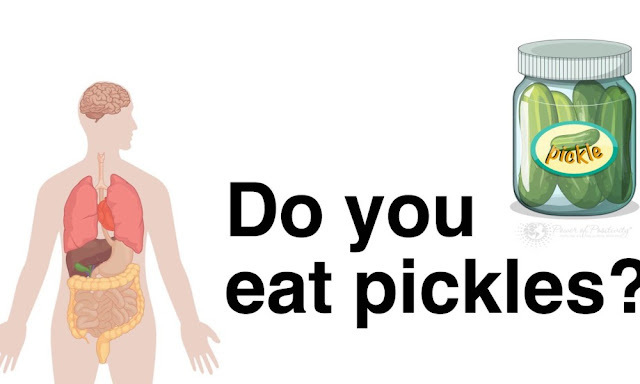 It is worth noting that the gut’s ecosystem varies from person to person, so it is difficult to predict the necessary amount of pickles or other fermented food to achieve a sedative effect. On the same token, it is difficult to predict the degree of “anti-anxiety” effects by eating such foods. While human studies linking fermentation and the brain are few in number, scientists have studied such an effect on animals. Previous studies have discovered a link between probiotics and depression or anxiety. In such studies, manipulation of fermented food intake had a direct impact on both personality and social anxiety. Scientists at the University also note the link between GABA levels in the brain and decreased permeability and inflammation of the gut. On this end, scientists discovered the lessening of adverse gut reactions – including gut leak and inflammation – and the consumption of fermented foods. Fascinatingly, the number of neurons in our gut are roughly the same number of neurons located in our spinal cord. There is actually a term for this neuronal arrangement in the gut, the enteric nervous system, which is often called our “second brain.” Because of these neuronal firings, our gut is capable of reacting without communicating with our brain. In fact, it is said that cravings for certain foods may not come from the brain at all, but from the gut. Our microbiome, the community of bacteria that resides in our gut, is influenced by our age, genetic code, stress levels, and where we live. Furthermore, this microbiome is capable of communicating with our Central Nervous System (CNS) and influencing our behavioral traits. In the relationship between probiotics, fermented foods and behavioral changes, other studies have been conducted that appear to demonstrate a link between the gut/brain communication network and other changes in behavior. In one study, participants were split into two groups, one that took prebiotics every day and one that took a placebo. After just three weeks, the group that took prebiotics had lower levels of the stress hormone cortisol, and in tests they paid less attention to negative information and more attention to positive information. The bottom line is that consuming fermented foods – pickles, sauerkraut, yogurt, etc. – can initiate a gut reaction that may relieve stress and anxiety in the brain. Also, we’ve learned that the gut does indeed have a “mind of its own,” and one that can influence our thoughts and behaviors. If we’re willing to eat healthy, exercise and do the advantageous things necessary to promote gut health, we may just find we’re better off in terms of our mental health as well.